On the other hand, HOW DID THAT PLANE GOT THERE?! 0_0. rofl! Possibly the same way Hanna Reitsch and von Greim landed near the Brandenburg Gate in Berlin in the dying days of the Nazi regime and flew out a few days later under Soviet attack. By courage and flying skill. It looks like it could have been towed, because the wings look like they are folded for easy tranportation...a good guess! I really don't know what kind of Heavy MG is that. With all that flame coming from the muzzle it could be mistaken as a flamethrower! Haha! Well, that thing looked like it has a very long calibre for a World War 1 MG. And it is too thick and long for a flamethrower mounted on the rear of a halftrack. Darn Germans making it hard to figure out what that weapon is! It is a FlameThrower. The SdKfz 251/16 carried 3 Flammwerfer (Flammwerferen? ), two mounted behind small shields as seen in the image, a 3rd attached to a hose, approximately 15 metres long, for use outside the vehicle. 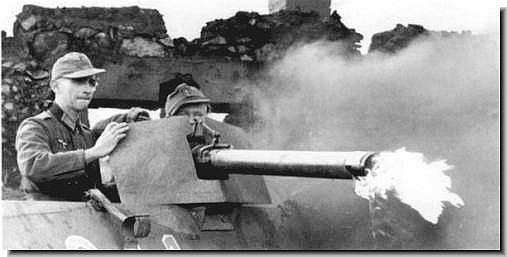 The crew carried MP 40's aboard the halftrack, but it is correspondingly rare to find a 251/16 with an MG34 or MG42.The "barrel shroud" on each mounted Flammwerfer was the size the image shows, and was hardened to protect the Flame tube proper from bulletstrike by enemy small arms. Also, such pictures of a 251/16 as posted here are, as far as I'm aware, reasonably rare. This is only the second such I've seen in well over 30 years. Last edited by Uyraell; 08-03-2010 at 10:29 AM. Reason: Typo. German Arty Battery Leader having a sermon. Last edited by jungleguerilla; 08-03-2010 at 10:30 AM. Glad I'm not on the receiving end of those Flammwerferen. Many Thanks for posting those, FTG. Artilleryman holding onto the triggercord is a good pic, jungleguerilla. Think I saw one like that in a reproduction of "Signal" in the mid-1980's. Thank you for posting that pic. Another Weird WW2 German Weapon. 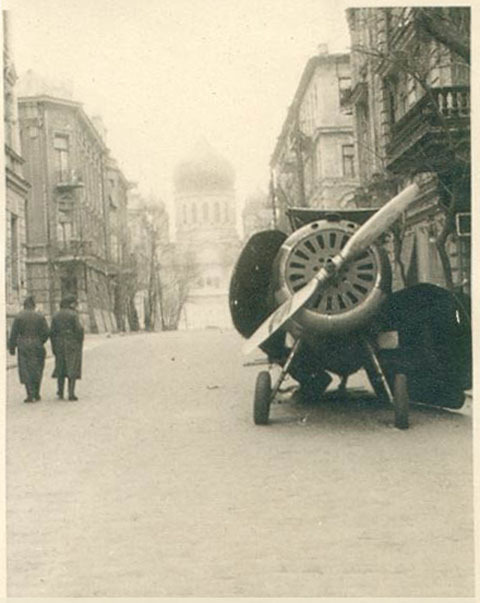 Thanx for the bundesarchive pics FTG. Granted, to see a BESA as field mount is a little unusual, but many Czech weapons were employed by various Waffen SS units throughout WW2. I'm not certain why the MG would be described as "weird" though: it was in fact one of the best designs of its' decade. Side Note: "Signal" was a German Armed Forces news magazine, published throughout WW2. IN the late 1970's, early 1980's there was, for a time, an industry which sprang up to reproduce "authentic copies" of the original WW2-issued editions of various of the German Armed Forces news-magazines, "Signal" being the most commonly seen, though both the Luftwaffe and Kreigsmarine also had their own news-magazines. Last edited by Uyraell; 08-04-2010 at 09:30 AM. Reason: Typo.